Anyone remember that moldy-oldy disco hit by Diana Ross? I had a 45 single of it as a kid (wow, that really dates me, doesn't it?) 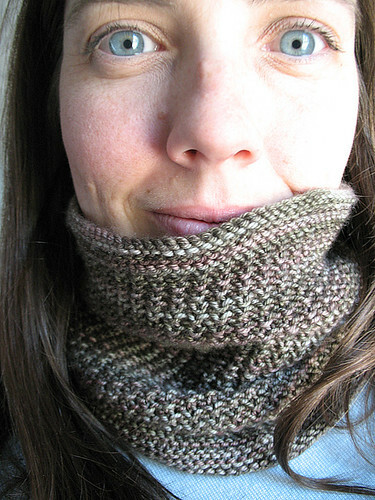 Anyway, this song kept playing in my head while I was knitting this reversible cowl. It drove me crazy, but I love the results. 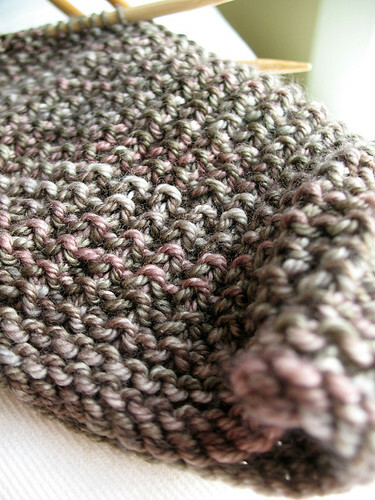 What a satisfying way to use up a lone skein of pretty yarn. My first attempt on 5mm needles yielded a flabby fabric, and I didn't like how messy the knit columns looked in the Mistake Rib stitch pattern. So in my second go, I changed to 4mm needles, and I worked all the knit stitches in the back loop, which created a tidy, reversible fabric. Cast on 110 stitches (more or less, as long as it's an even number). Join in the round, being careful not to twist the stitches. Place marker at the beginning of the round. 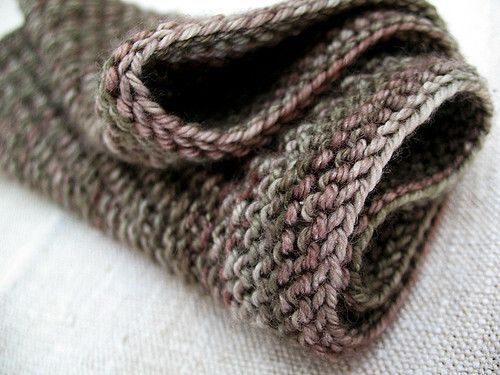 End tube with same garter border as beginning. 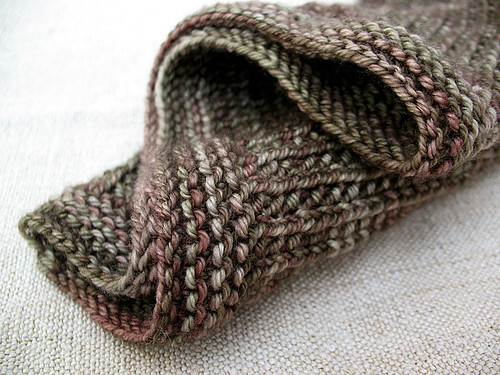 Cast-off loosely, neatly darning in ends. By the way, I realize that knitting in the back loop is a bit of a pain. 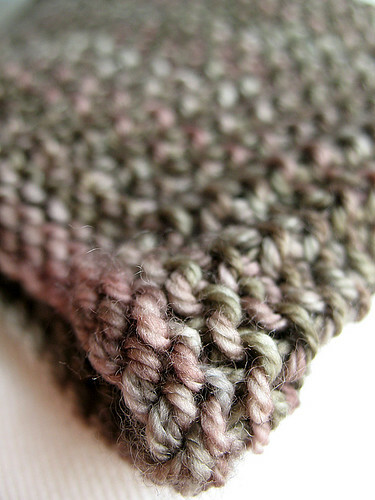 You don't have to be as persnickity as I am, just go ahead and knit the knit stitches the ordinary way. I just have a thing for twisted stitches. 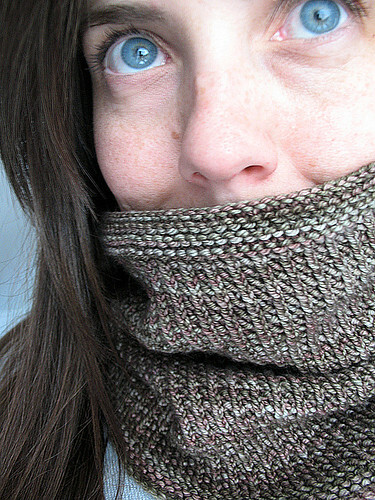 I may try and create a PDF and post it on Ravelry. I just have to figure out how to do it. Anyone have tips? This yarn was way to pretty to be socks anyway. I've unvented a pattern of my own. I'm using broken rib, but in reverse. I may actually write it up when it's done. Let's see how it turns out first. Last weekend I got to meet one of my favourite bloggers, Ingrid. She was vacationing in these parts, and so we arranged to meet. I wanted to take her on an epic yarn crawl, but I didn't have the car that day, and the better lys's are in the burbs. 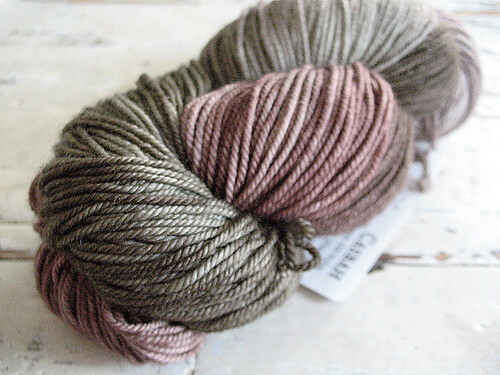 I continue my neutral-love with this random ball of Peru Naturals from a sale bin. I don't think I have enough to make anything with it (90m = wah???). I just love the combo of pale blue and soft browns. 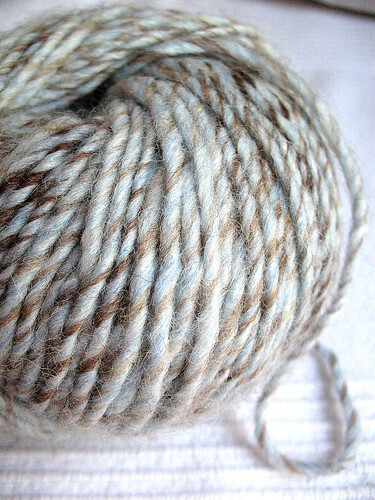 It kinda looks handspun to me. 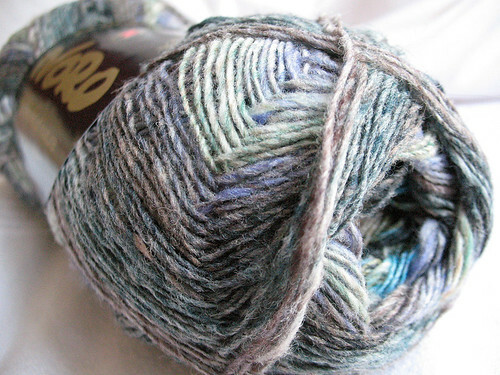 Ingrid and I pounced on the Noro Kureyon sock yarn (and I learned that "Kureyon" is pronounced "crayon"). We were so excited to see it in "real" life, it was a given that we would both walk away with some. Colour # 150, soft greys, blues, greens, lilacs. And no visit to Knitknackers is complete without a thorough molesting of the Malabrigo. I contained myself, while Ingrid bought some gorgeous orange worsted. Thanks Ingrid for such a wonderful day. You're a delight! 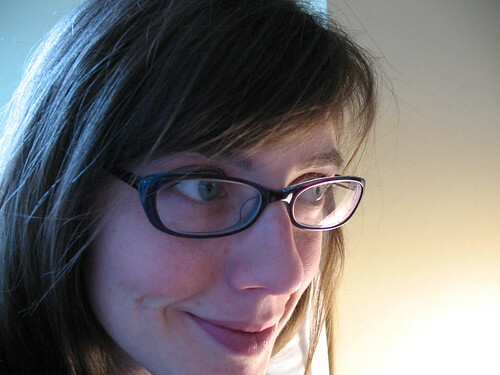 I can't wait to visit you in Nova Scotia!